Spoke Art will be at New York Comic Con once again this year, and they’re bringing with them some incredible exclusives, like this fantastic Firefly print by Tracie Ching! 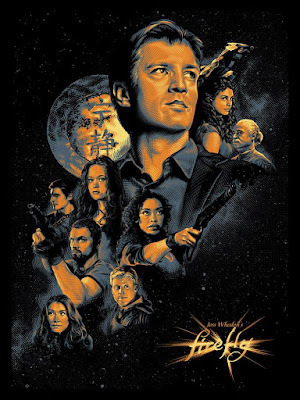 What a beautiful tribute to Joss Whedon’s cult classic sci-fi western television show. This limited edition screen print will come signed and numbered, and will go on sale Thursday, October 4th, at the Spoke Art NYCC booth #675.